This week in the Succulent Series we take on the glorious and colourful world of Sedum. From ground-covers to full-bodied hanging plants in every colour palette imaginable, there is a Sedum variety that will captivate you. These fun perennial plants resemble the fondly remembered childhood sweet, and come in as many colours! Fat fleshy bean-like leaves grow from lengthening stems. Jellybeans range in colour from deep green to burnished orange, pale pink to bronze. Their unusual foliage is sought after by collectors of succulents. They make for striking additions to the garden. Bear in mind they will grow to a height of 20cm. Well-draining soil is a necessity. Plant in bright containers, or in sections of the garden that need some interest. This bright green trailing groundcover is also known as Graveyard Moss. It provides a mass of luminous yellow star shaped blooms when in flower. 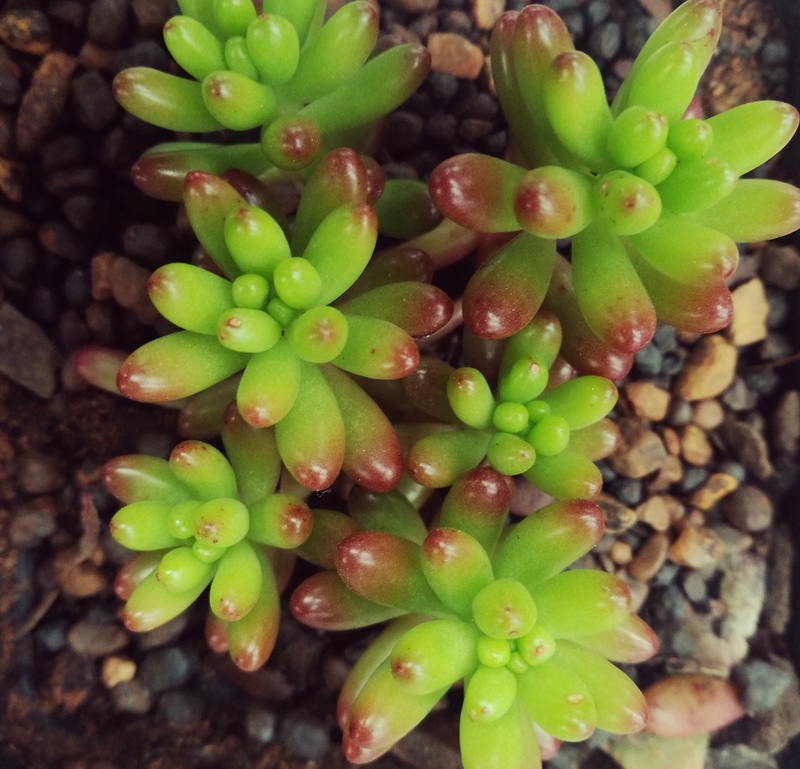 The stems of this sedum reach lengths of 25cm. 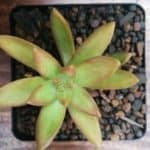 Plant this succulent in areas which receive a lot of sun. They will thrive here. 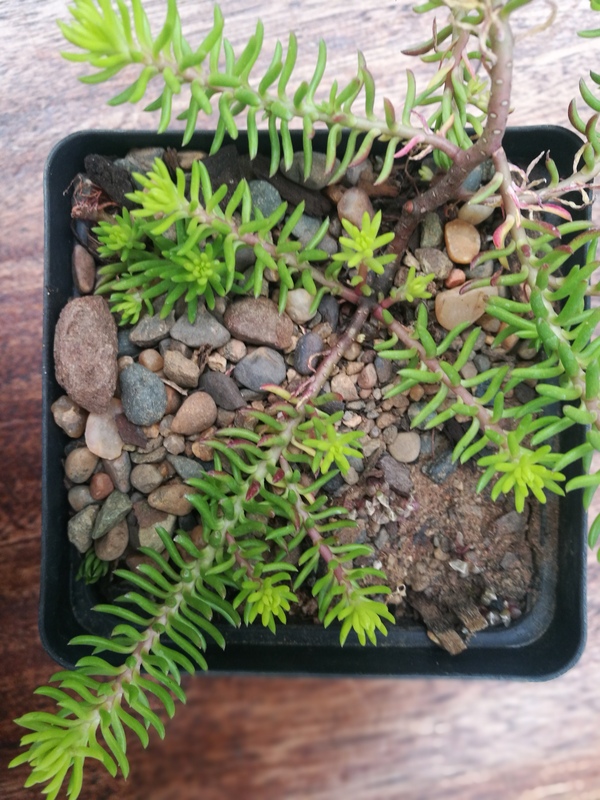 Just to show the diversity of the Sedum genus, here is a variety with a very different growth pattern and structure to the two mentioned above. Named the Coppertone Stonecrop, this golden-leafed succulent grows on a vertical rigid stem. Long triangular Leaves with rounded edges can form in tight clusters, and as the plant becomes taller, so leaves become more sparse on the stem. Small fragrant bright white flowers emerge from yellow stems in summer. Native to Mexico, these succulents are easily propagated by cutting and will send out roots to ground themselves. Planted in large blue ceramic pots, this Sedum makes a striking patio plant. Sedum groundcover varieties can be used as living carpets in the garden, garnering the attention of beneficial insects. Taller varieties can be used as background plants, with their blooms introducing shades of orange-red, white and gold in the flowering summer months. Known as Stonecrops, gardeners make light of the fact that the only thing that lives longer than Sedum are stones. They are extremely hardy plants and will thrive where not many other plants will. The Jellybean and Coppertone Stonecrop varieties will intensify in hue with increased heat and sun exposure. Jellybeans will go more red, and Coppertone will develop deep orange-gold edging around the yellow leaves. 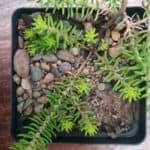 Has this Blog been helpful? We would love to see what you are up to in your garden with succulents. 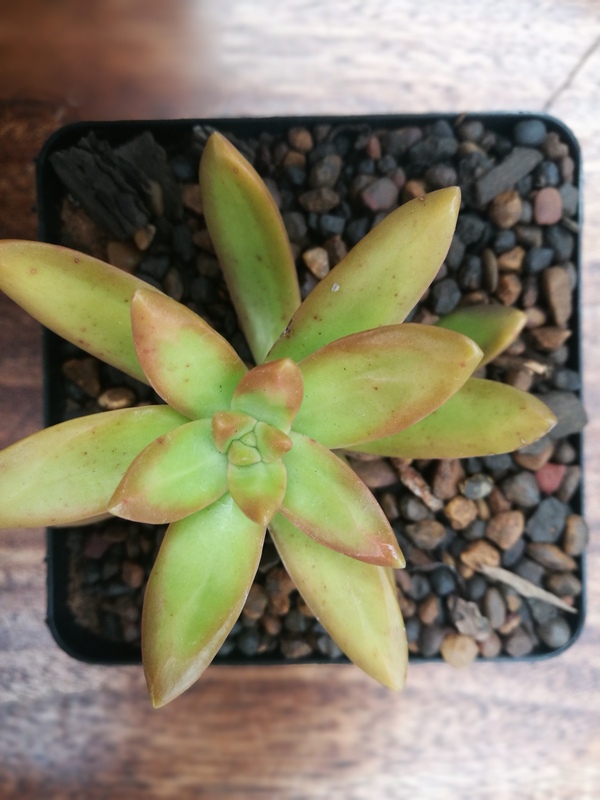 Tag us on Instagram using the hashtags #lifestylehomegarden and #succulentseriesZA and the tag @LifestyleHomeGarden so that we can see your posts! click |HERE| to find out more about what to do in your garden in July.